Well, I’m back from the holiday travels hoping to relax a bit before going back to the usual next week. Had a great visit with my side of the family where we played our annual crazy Present Game, worked on a new annual puzzle, ate our annual eggnog cookies and rum balls and homemade peanut brittle, reminisced about old stories and came back with some new ones. Today, New Year’s Day, is also about tradition. 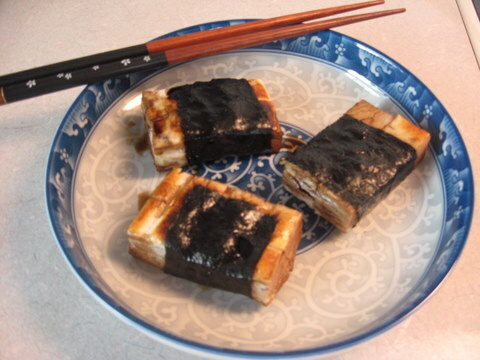 I will make Japanese mochi rice cakes for us, grilled on the stove and served with soy sauce and dried seaweed, and then have black-eyed peas as a dinnertime side dish to cover all the good-luck bases. I will get my new calendar datebook ready for the upcoming year. I’m glad I have saved all my old datebooks which are like mini diaries in case I need to look back into time. Better yet, if one ever aspires to write about one’s life, a timeline created in MS Word or even handwritten is a helpful tool for remembering the when’s and where’s of significant moments and events. Hope your holidays were wonderful and full of stories. This entry was posted in holiday, storytelling, traditions and tagged Christmas. Bookmark the permalink.